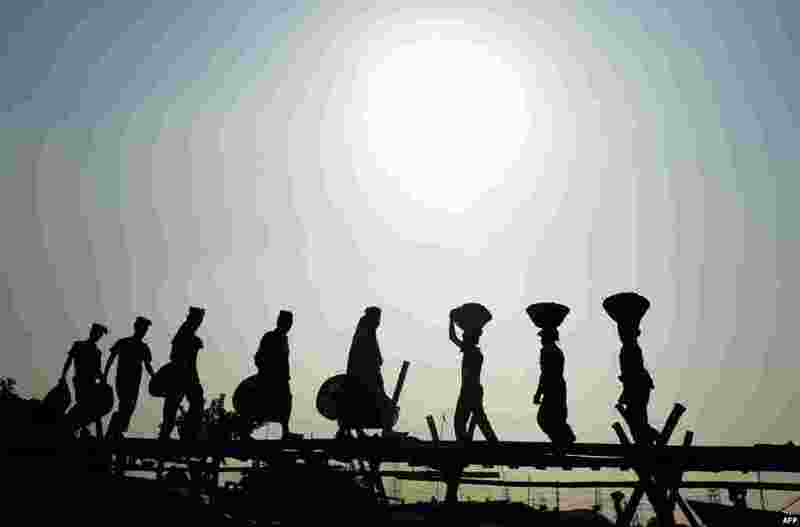 1 Bangladeshi laborers unload sand from cargo ship in Dhaka. 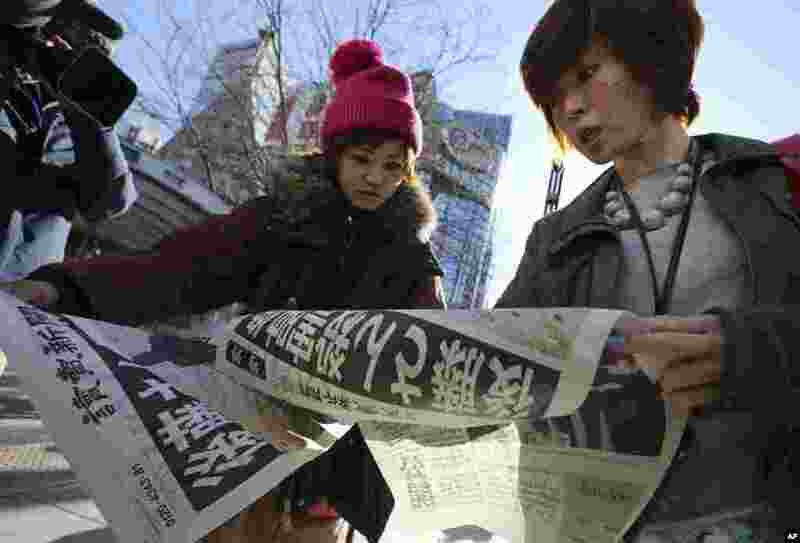 2 Japanese women react as they read extra newspapers in Tokyo reporting about an online video that purported to show an Islamic State group militant beheading Japanese journalist Kenji Goto. 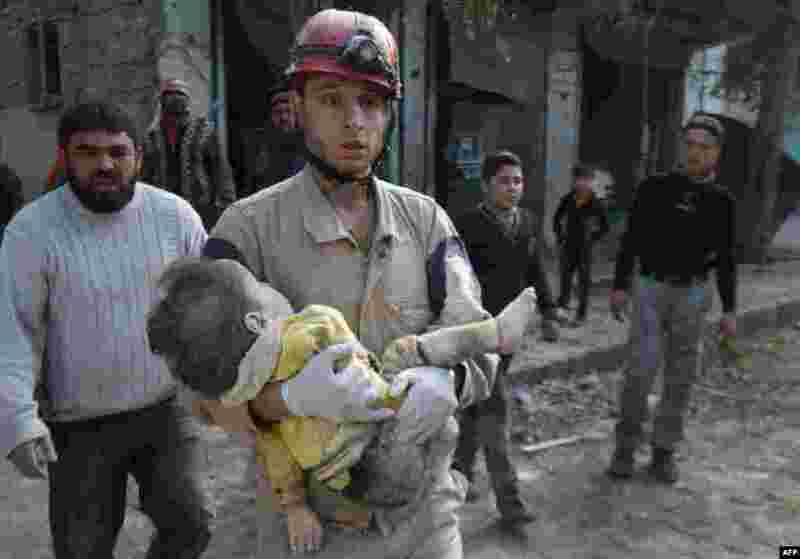 3 A Syrian Civil Defence worker carries the body of a child following a reported air strike by Syrian government forces in the northern city of Aleppo. 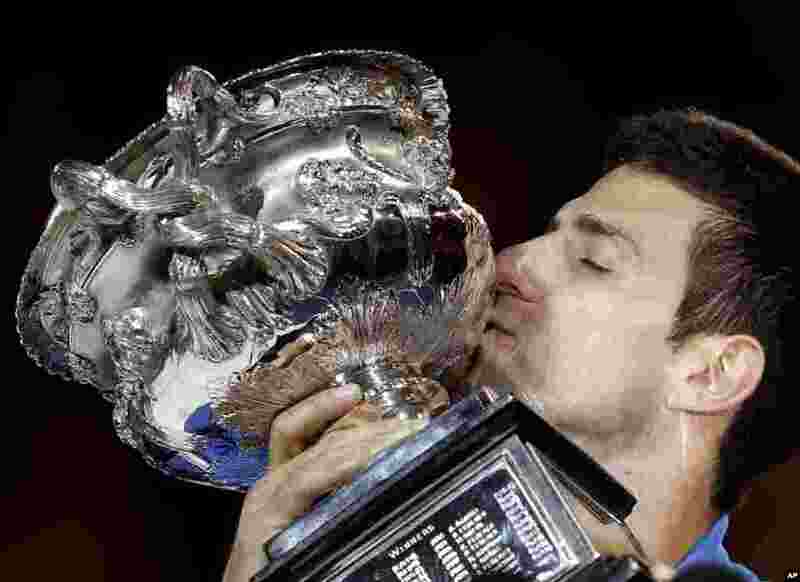 4 Novak Djokovic of Serbia kisses the trophy after defeating Andy Murray of Britain during the men's singles final at the Australian Open tennis championship in Melbourne.